With all the excitement of having bubs finally at home with the family, mother’s needs are often overlooked. However, this time can be one of the most challenging and physically demanding times for her. Mums, who are still in their early stages of recovery post delivery are now entering the whole new world of nursing bubs full time. And this presents its own set of physical challenges. 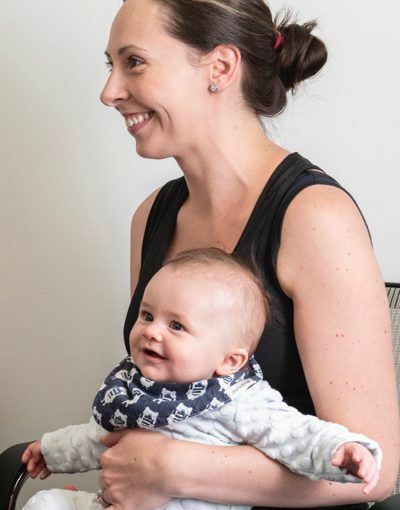 Breastfeeding, nursing, cuddling in awkward positions, lifting bubs in and out of cots, prams and carriers, and then lifting the prams and carriers themselves is hard work for mums while they are still in a vulnerable stage of their recovery. With residual hormones, laxity, postural changes, weakened muscles and muscle imbalances possibly present, it is common for parents to experience a range of issues. These might include forearm and wrist pain, nerve irritation or compression, neck, shoulder and lower back pain. It’s not a surprise that all these are possible given the many hours they spend feeding and carrying bubs. The last thing any parent needs on their plate is aches and pains limiting their ability to care for the baby or themselves. myotherapists are trained to identify contributing factors to many of these pains and other syndromes that may be experienced. Using soft tissue therapy techniques including massage, myofascial release, trigger point therapy, cupping, dry needling, joint mobilizations and lymphatic drainage, your myotherapist can help ease or eliminate your tensions and pain. They can also help advise you on other ways to reduce the risk of these issues arising. Some of these measures you can adopt at home might be: lifting correctly, nursing and breast-feeding postures and set-up, stretches, self-release techniques, and exercises that will assist you while you return to full strength and beyond. You don’t need to tolerate unnecessary tension and pains! And don’t feel shy about bringing your little bundle of joy with you, if need be.